Product Description: Our most popular and best-known tea, filled with the tastes of tropical fruits and flowers. Its popularity extends far beyond our country’s borders, and the tea is constantly finding new enthusiasts. Söderblandning, which has been produced since 1979, is supplied solely by the Tea Centre of Stockholm. Many copies with similar names are sold by others, but only here will you find the original. Enjoy a delightful cup of Söderblandning. Equally good hot and cold, with or without milk. The dry leaf aroma is heady with fruit and floral notes. 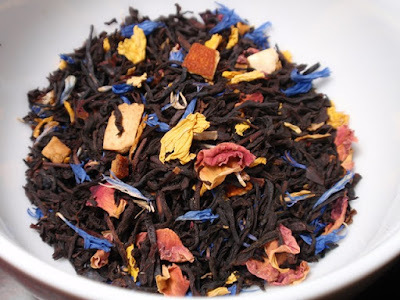 The infusion is red with a sweet aroma and taste of tropical fruit, flowers, and sweet cream. The finish is brief and the astringency is mild. Söderblandning was an accidental creation by a tea shop owner in 1979. 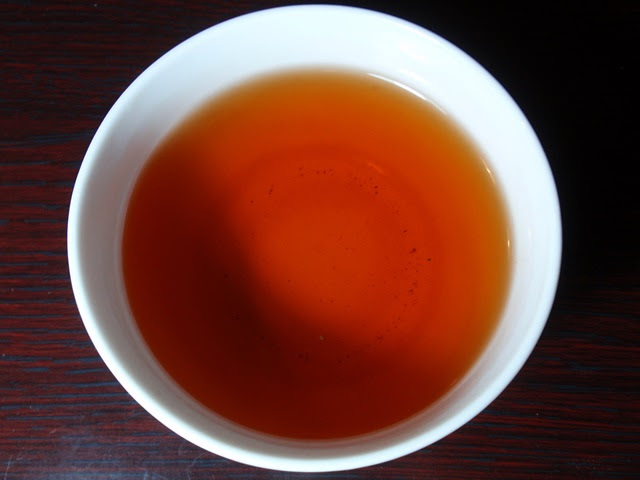 There are several variations of this tea, though the Tea Centre of Stockholm claims to be the only source of the original blend. This tea surprises by being delightfully flavorful, reminding me of fruit bread and sweet cream, while not being overpowering. 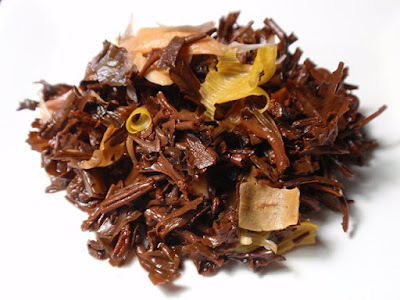 The full flavor and aroma is brought out in the first steeping, so a second steeping would not be recommended.